This is the third time I visit Beijing since creating BestSellingCarsBlog. In 2013 we went through a series of Photo Reports exploring the Great Wall of China and Beijing dealerships. 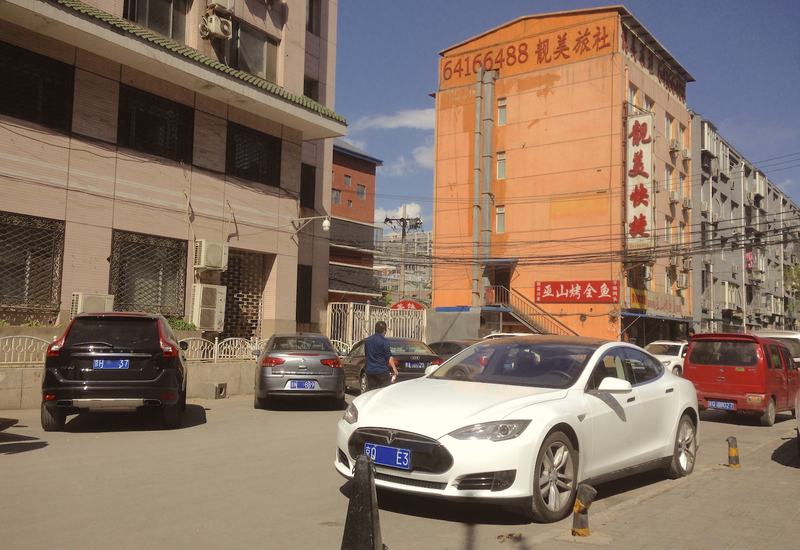 In 2014 we explored the Beijing hutongs as part of the 2014 Beijing Auto Show. 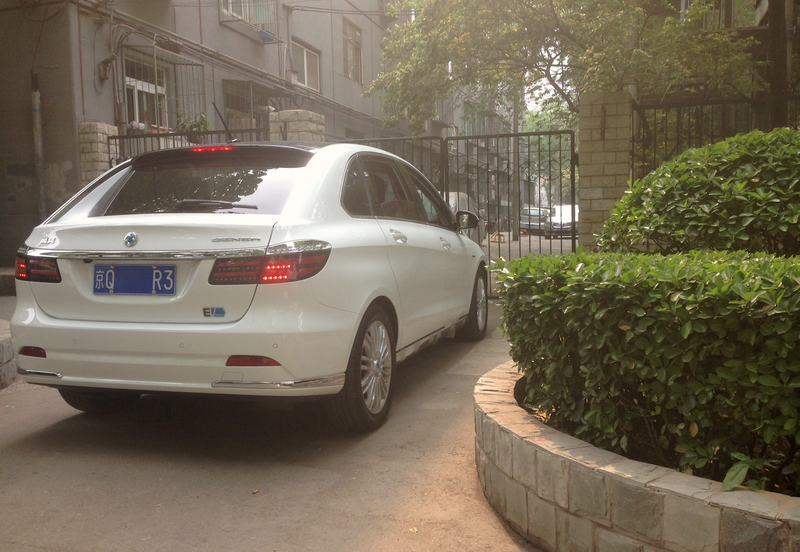 This year, the most striking element in the Beijing car parc is… its similarity to that of two years ago and the near-absence of really new nameplates. Contrary to all Chinese cities I visited over the past three years, Beijing cars are stuck in a time-warp. As detailed in our exclusive Chinese ranking by province, the premium and luxury segments reign over Beijing new car sales, with the Audi A6L astoundingly taking the overall lead, the VW Magotan in second place, the VW Passat in fourth, and the VW Sagitar (the worldwide Jetta – priced at a premium in China) in fifth. This translates into the Beijing car park with Audi, BMW and Mercedes omnipresent on the streets. A few Chinese flagships also make themselves noticed, such as the Hongqi H7 (pictured at the very top of this article) and Geely GC9. Considered as a premium import in China, the Ford Mustang is already spreading into the city with flashy colours. Perhaps the most actively visible consequence of the license plate restrictions imposed on Beijing carbuyers is the increase in the number of eco-friendly cars, not affected by the restrictions. I saw my very first three Denza EV in Beijing only this year for example, as well as a handful of Tesla Model S, even though as an import it does get affected by the license plate restrictions. Haval H6 Coupe The new gen Hyundai Tucson is already a frequent sight in Beijing. 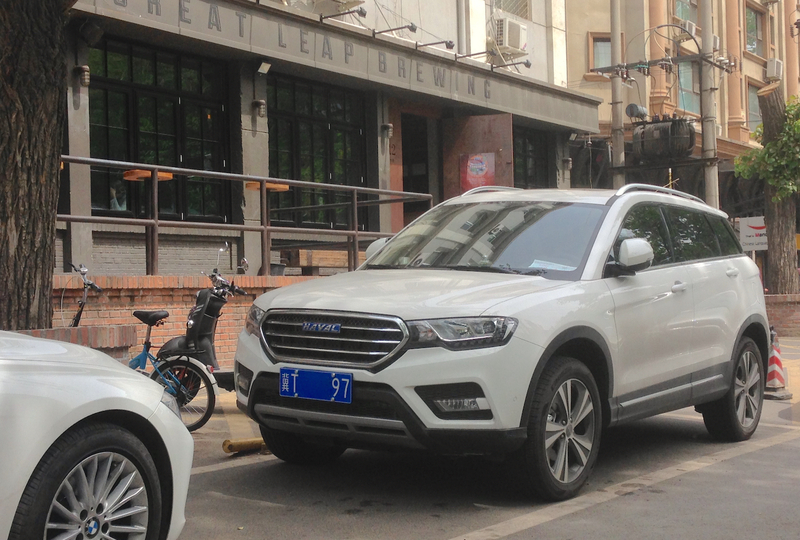 The SUV tsunami that is currently engulfing the Chinese market is only just pointing the tip of its wave in Beijing, with the Haval H6 Coupe very well accepted and the new Hyundai Tucson already a frequent sight. The Beijing SUV level however still lags far behind most Chinese cities. 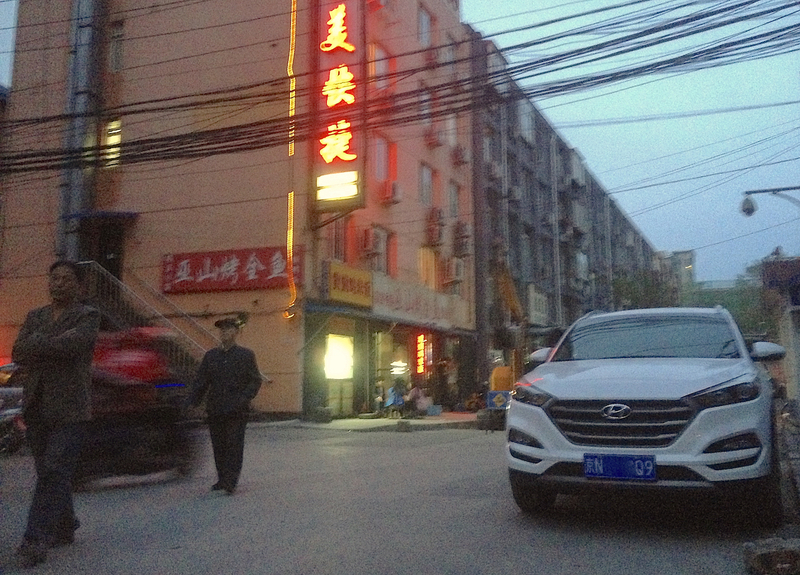 The most frequent cars to be seen in Beijing streets are still taxis, and among them the Hyundai Elantra from three generations ago (!) kept nice and tidy solely for taxi companies. A few of them were indeed looking pristine. 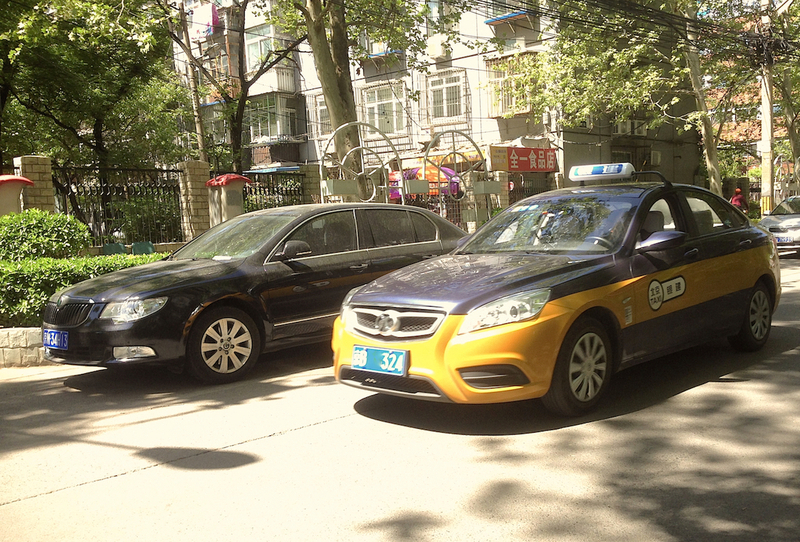 A newcomers in the taxi fleet since my last Beijing visit is the BAIC Senova D50. 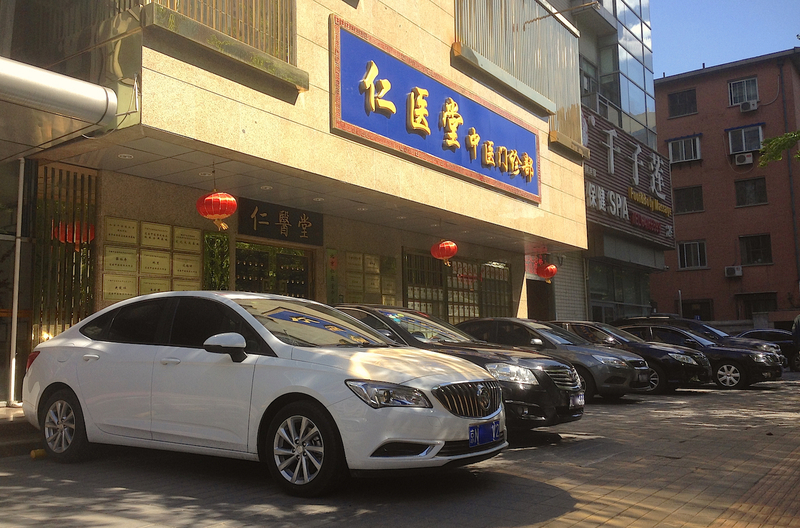 Here too, taxi companies remain patriotic to local products: both the Hyundai Elantra and the BAIC Senova D50 are manufactured in Beijing. It is also the case for the police car fleet, composed in large part of the previous gen Hyundai Tucson, still on Hyundai’s catalogue. 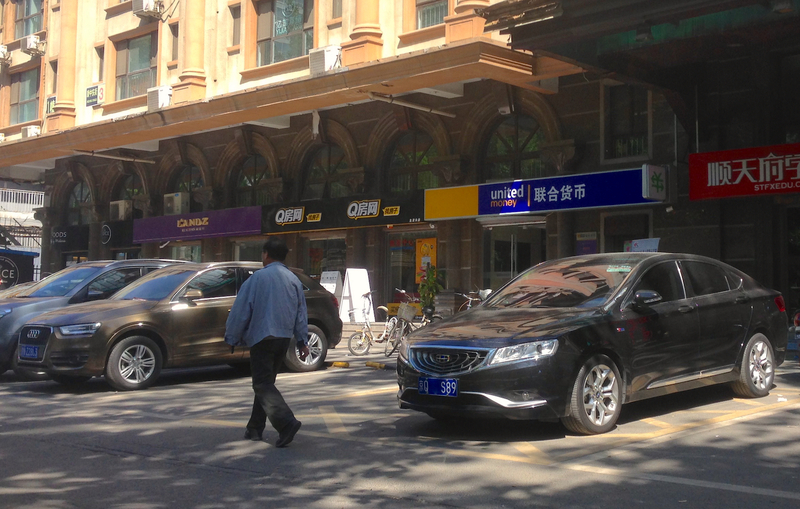 As I detailed in my 2013 Beijing Photo Report, Buick remains extremely strong here with the GL8 the perennial favourite of VIPs and the new Excelle GT off to an excellent start. Minivans are still surprisingly frequent, dominated by the Chana Honour and Jinbei Haise – in this completely unchanged over the past three years. Finally, on the first evening of my stay in Beijing I spotted the very first (and only) Renault Kadjar of this trip to China (pictured below). Stay tuned for the next stop in this China adventure: Xining, the capital of the Qinghai province.